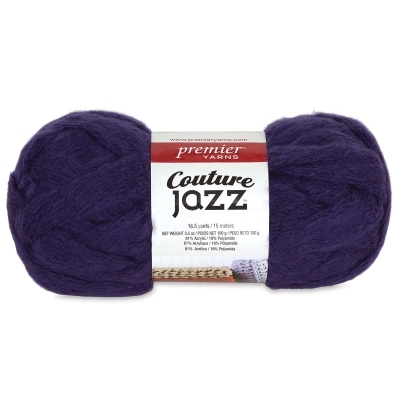 A favorite of arm knitters, Premier Couture Jazz Yarn has a soft and luxurious feel. It's perfect for super chunky blankets, cowls, and more. Use with jumbo crochet hooks or knitting needles — or skip the sticks and arm knit your project. Yarn is an acrylic blend. The 3.5 oz skeins are 16.5 yd long. ® Premier is a registered trademark.® Couture Jazz is a registered trademark.